The City of Spokane’s hiring of a community development director named King Cole in the late ‘60s was the first of many actions to significantly alter Spokane’s landscape. Cole’s idea to host the world’s fair–Expo ‘74–led to the revitalization of downtown, the jumpstarting of the local economy, the development of Riverfront Park and the performing arts center, and a focus on ensuring the Spokane River would always be a point of pride for the community. The ‘80s brought another economic slump and another desire by community leaders to do something dramatic to improve the local economy. While the river had been accentuated during Expo ‘74, there was plenty of it that flowed through some ugly landscape, including those 50 acres that were still a pocket of blight. As leaders gathered in 1987 to brainstorm solutions to the economic problem brought on because mining and timber projects were starting to disappear as Spokane’s mainstay industries, the effects of Expo ‘74 were top of mind. Led by Paul Redmond of Washington Water Power, Bill Cowles of Cowles Publishing, Mike Murphy of Central Pre-Mix, and Dave Clack of Old National Bank, Momentum ‘87–as they called their strategy–brought more than 100 business people and 10 elected officials together to come up with ideas to improve the economy. 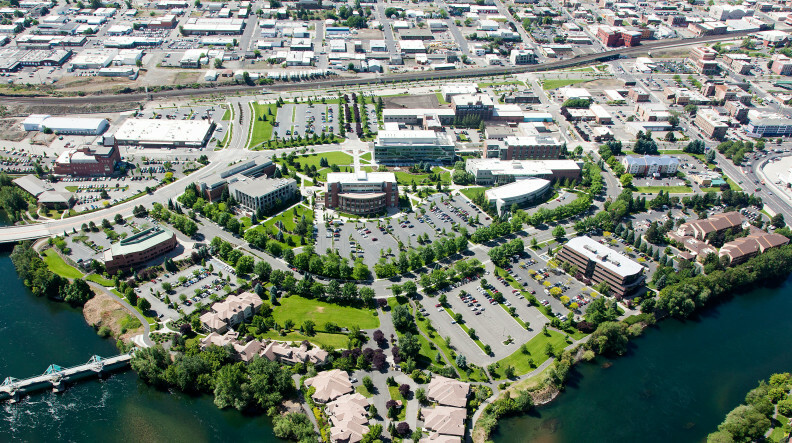 According to Susan Meyer, CEO of Spokane Transit Authority (STA), one idea that gained traction was that the riverbanks east of downtown, close to Gonzaga University and below the medical district, might prove ideal for higher education projects. While private universities were in Spokane, and Eastern Washington University was in nearby Cheney, community leaders wanted a public university, preferably with graduate level opportunities and a research component, to be based in Spokane and connected to health sciences. Many health professionals increasingly required more clinical experience and the thought was that experience could not be accessed in towns the size of Pullman or Cheney. While community leaders worried about the local economy and the blight that still remained along the Spokane River, the state of Washington was planning to restructure its entire public education system, maintaining that it had a responsibility to ensure reasonable access to education beyond high school for all of its citizens. Accessibility meant geographic proximity, and for Washington residents who could not leave the state’s growing cities, that meant bringing the universities to the cities. The state also had long been interested in collaboration. A cooperative venture completed in 1968 had brought WSU, EWU, Whitworth, local hospitals and Fort George Wright College together to open the Intercollegiate Center for Nursing Education (ICNE), a first-of-its-kind arrangement in the U.S.
Later, a state Council on Higher Education report concluded that intercollegiate cooperation, in the style of the ICNE, offered the city its best choice in increasing graduate education opportunities. 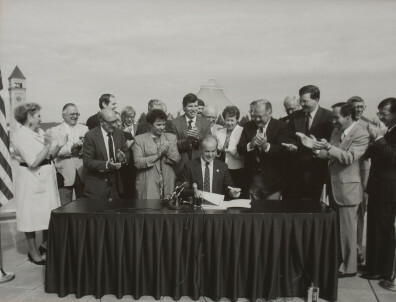 In 1987 the state’s Higher Education Coordinating Board (HECB) called for Washington State University and the University of Washington to build branch campuses. This mandate spurred the creation in 1989 of campuses in Bothell and Tacoma for the UW, and Spokane, Vancouver and the Tri-Cities for WSU. The state authorized both WSU and EWU to offer programs in Spokane and created the Joint Center for Higher Education to over see the venture. Governor Booth Gardner signed the legislation. That same year WSU set up its first Spokane office and started offering classes. It moved to a downtown bank building where EWU also was offering classes. Because Spokane was an important regional medical market, it especially offered advantages for health sciences disciplines. As the pharmacy profession became more clinical, for instance, pharmacy students needed Spokane’s hospitals, clinics and doctors. With considerations like these in mind, the campus’ founding chief academic officer, Fred Peterson, focused on programs whose upper-division and graduate work would prosper in a city. WSU’s President Sam Smith appointed William Gray to be WSU Spokane’s first dean (the title later became chancellor). The two men worked to put a face on the University’s presence in Spokane by holding high-profile events in the city, placing WSU employees on civic boards, and sending faculty north from Pullman as often as possible. The mission of the branch campuses was to serve place-bound students and promote economic development, responding to the needs of local business and supporting the region through research. By 1991 WSU Spokane was accepting graduate students in criminal justice, education, engineering, nutrition and speech pathology. In the fall of 1992, the Joint Center for Higher Education released a master plan to guide the development of what was named the Riverpoint Campus. The blueprint called for five to seven buildings that would allow Eastern and WSU to move from their leased downtown space to the old rail yard east of downtown. The campus was meant to be a place where a number of institutions could work cooperatively. Accordingly, the first building, the Spokane Intercollegiate Research and Technology Institute (SIRTI) building, dedicated in 1994, had “intercollegiate” in its name. Matrical, a company that developed products used in life science research, was among the early biotech ventures that took advantage of SIRTI. 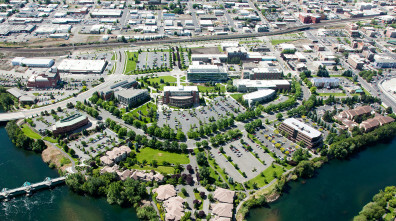 The plan for academic facilities began to materialize in January 1996 with the opening of a structure known simply as “Phase One.” State Senator Jim West, who later became the senate majority leader and then Spokane’s mayor, saw WSU as having a central role in the Spokane campus because its research and graduate capabilities would ultimately be good for the economic development of Spokane. In 1998, the HECB made WSU the fiscal agent for the joint campus. In 2002, the Health Sciences Building (HSB) opened and EWU and WSU celebrated the wet and dry labs, clinical spaces, office areas and classrooms. The scientists who helped design the facility exulted that, “nothing else like it existed in the country.” The HSB now provides a home for a long list of health programs, including two reduced–cost clinics: the WSU–EWU University Hearing and Speech Clinic and the EWU Dental Hygiene Clinic. In the early 2000s, WSU Spokane’s Design Institute, with students in interior design, landscape architecture and architecture, grabbed on to an earlier idea to create a university district around Gonzaga and the shared WSU/EWU campus. The concept caught the eye of then–State Senator Lisa Brown and other legislators for its ability to stimulate Spokane’s economy and educational environment. Moreover, the students had taken their ideas to Washington D.C., and secured $1 million in funding through Senator Patty Murray. Around this time, U.S. Representative George Nethercutt of Spokane began investigating possibilities for duplicating WSU Pullman’s successful Institute for Shock Physics (ISP) in Spokane. Funded with national defense money, ISP research centered on physics experimentation and was seen as having significant economic development potential. The congressman was not alone in this work. Civic leaders like Jon Eliassen and Stacey Cowles saw the momentum Seattle, Austin and Palo Alto enjoyed because of successful research and development and wanted that for Spokane. The Applied Sciences Laboratory opened in 2004 as part of the SIRTI Technology Center, which marketed the building as home for biomedical and research-related organizations. Chancellor Gray retired in 2003 and was followed by two WSU veterans—Rom Markin, professor and dean of the College of Business and Economics, and then Nicholas Lovrich, a professor of political science and former director of WSU’s Division of Governmental Studies. Both were interim chancellors. Brian Pitcher became chancellor in January 2005. Appointed by President Lane Rawlins, Pitcher was known as a consensus builder and an expert in organizational change-a fitting preparation for his role in guiding the development of WSU Spokane on the multi-institutional campus it shared with EWU. The campus was flourishing and Pitcher went on the lead three significant capital projects during the seven years he served as chancellor. An old structure, the South Campus Facility (SCF), provided a direct link with the site’s history. Made of brick and heavy timber, the SCF began life in 1938 as a Montgomery Ward store. In 2005, much of the SCF was renovated and its new use included the Sleep and Performance Research Lab as well as The Bookie. Backed by state lawmakers and civic leaders, the campus was gaining facilities at a relatively steady pace with two new buildings in the works: the Academic Center, to house a library and be the administrative building intended to serve as the heart of the campus, and a new building to house the College of Nursing. The Academic Center opened in 2006. In 2008, WSU Spokane began educating first year students in the UW’s WWAMI (Washington Wyoming Alaska Montana Idaho) program. The Nursing Building opened in 2009. Around this time, local leaders began advocating for construction of a building that would be large enough for the entire WSU pharmacy program, half of which was still located in Pullman. Supporters also wanted enough space in the building for possible expansion of the UW’s medical education program on the WSU Spokane campus. Rich Hadley, from Greater Spokane Incorporated, and then-Senate Majority Leader Lisa Brown worked hard to bring the building to fruition. Originally slated for construction in 2015, WSU’s President Elson S. Floyd, then–WSU Spokane Chancellor Brian Pitcher, and Spokane-area leaders and legislators—led by Senator Brown–convinced the legislature in 2009 to accelerate the building project by two years. State Senators Linda Evans Parlette and Derek Kilmer figured out how to structure the state’s debt capacity to do more during the downturn in the economy that was occurring at the time and less in a future upturn. While buildings were going up rapidly and the campus was turning into a place of beauty and enlightenment, a significant decision by the Board of Regents, which included Spokane native and community leader Betsy Cowles, occurred in 2010: designation of the Spokane campus as the University’s health sciences campus. That key development continues to impact the direction of the campus today. In 2013, the College of Pharmacy moved the last year of its multi-year degree program to the new Pharmaceutical and Biomedical Sciences Building. Also sharing that building are students in medical sciences. Generous donors made second-year medical education possible, contributing more than $2 million in seed money to fund the start-up costs. The Empire Health Foundation made an initial $850,000 grant. Community leaders Marty Dickinson and Tom Quigley joined Greater Spokane Incorporated to lead a campaign in which 14 local corporations and charitable organizations pledged another $1.45 million. Other community support came from an organization that calls itself Friends of WWAMI, under the leadership of Dave and Mari Clack. In early 2013, former Senator Lisa Brown was named chancellor of the campus. In her short tenure Chancellor Brown has led the addition of a third WSU college to be based on the campus—the College of Medical Sciences—and the consortium called Spokane Teaching Health Center with leaders from Empire Health Foundation and Providence Health Care. STHC has already generated additional medical residency slots in Spokane and will complete a clinic in 2016 for patients who will be seen by the residents as well as health sciences students on campus, using an innovative, team-based, multi-disciplinary approach. Most significantly, Brown has been a key leader in bringing a medical school to Spokane. The dream of a research campus, a home for WSU and EWU’s urban education efforts, as well as a collaboration with the area’s community colleges (Community Colleges of Spokane’s administrative office is located within the University District) and a connection with Spokane’s two private universities (Whitworth has a University District classroom and Gonzaga’s campus is within the district), not only came to life, it came together much more quickly than expected. Momentum ‘87 developed a campus master plan with a 50-year buildout. Instead, 25 short years later, the campus is developed with phased expansion planned. Today, WSU Spokane educates over 1,400 students, preparing future health professionals and housing world-class research that leads to healthier people and communities. Academic offerings on the Spokane campus include undergraduate degree completion, graduate, and professional programs in medical sciences, nursing , pharmacy, nutrition and exercise physiology, speech and hearing sciences, health policy and administration, criminal justice and education. 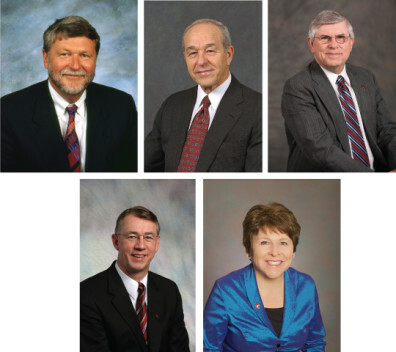 In 2013-14 WSU Spokane was awarded nearly $20 million in grants and contracts. The internationally known Sleep and Performance Research Center is a cornerstone of WSU Spokane’s growing research portfolio. It has brought more than $35 million in extramural funding to WSU and produced more than 350 scientific publications. Faculty are active in education, outreach and the translation of science to policy and federal rulemaking. The center brings together researchers from six of WSU’s 12 colleges. WSU Spokane is truly a collaborative campus, sharing its 48 acres with EWU and its research and outreach efforts with rural areas, tribal communities and underserved populations around the world. The distinctive campus has a park-like feeling. The river flows nearby and sidewalks crisscross from red brick building to red brick building. WSU nursing students in scrubs cross paths with their white-jacketed counterparts in the pharmacy program as well as with EWU’s dental hygiene, physical and occupational therapy majors. On the top floors of the newest of the structures, researchers are investigating genes, cancer, diabetes, sleep, diet and pharmacotherapies. Meanwhile, students enjoy a variety of volunteer opportunities, from Saturday morning sessions at Spokane’s House of Charity homeless clinic to spring and summer breaks caring for patients in rural clinics in countries such as Guatemala and Peru. And just as community leaders were involved in the implementation of the campus, they similarly are hopeful that the four-year medical education and research university WSU is pursuing will jumpstart Spokane’s economy now. With a greatly expanded campus, strong academic program, community relationships, and thriving research ventures, WSU Spokane, in its 25th year, has done much to benefit the Inland Northwest and looks forward to contributions of even more significance in the future. The success of this campus is truly the result of the community of leaders who worked together all those years ago to make it happen. So much has changed at WSU Spokane since the signing in 1989 of state legislation that created branch campuses for Washington State University in the Tri-Cities, Vancouver and Spokane. One thing, however, remains consistent: the future of this campus is intertwined with the vision of the community leaders.